My first visit to the Indianapolis Motor Speedway was on the fourth day of qualifications way back in 1960. 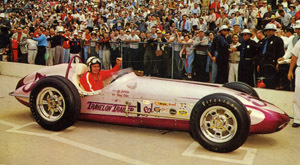 The low drama of filling the field became electric when a rookie named Jim Hurtubise almost broke the 150 mph barrier. Wow! I have been hooked on motorsports ever since. I first sat in a race car in 1978 and raced with some success before adult responsibilities got in the way. However, the disciplines of preparing a car for the rigors of racing and organizing all the stuff required to operate it hundreds of miles from the shop served me well in my professional endeavors. TIP: There is no such thing as over-organized at the race track. 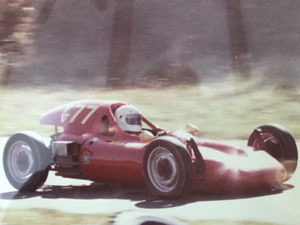 Later in life, I have been able to resume my motorsports hobby moving up from a Caldwell D-13 Formula Vee to a Lola T-540 Formula Ford. I continue to enjoy the off-track organizational challenges of racing as much as I enjoy driving the car…and that says something! 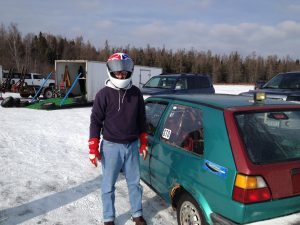 In the last few years, I have branched out into a new form of motorsports: ice racing. The vehicle dynamics of a front wheel drive car with studded tires on ice are crazy fun! Yes, it is very cold on a frozen lake. Even so, I look forward to my annual ice racing adventure. 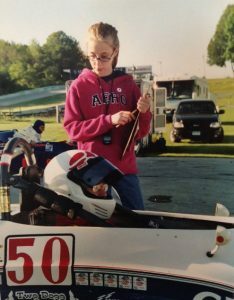 I started to put something back into motorsports when I formed the East vs West Challenge in 2001, a series to increase Formula Ford car counts. 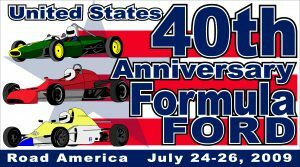 The EWC’s success led to my involvement with the FF40th, Formula Ford’s 40th anniversary weekend at Road America in 2009. I am stepping up to the plate again as de facto chairman of the FF50th, September 2019 again at Road America. I recently applied my manufacturing expertise in motorsports, organizing a professional racing team’s spare parts for the Daytona 24 Hours. The inventory management methods, exploded bills of material, and Excel-based “MRP” were all from Manufacturing 101. In the motorsports space, I would like to do more “technology transfer” from manufacturing to professional racing as well as help other club racers get started or perhaps just get a little better organized. And, of course, I have my hands full with the FF50th. 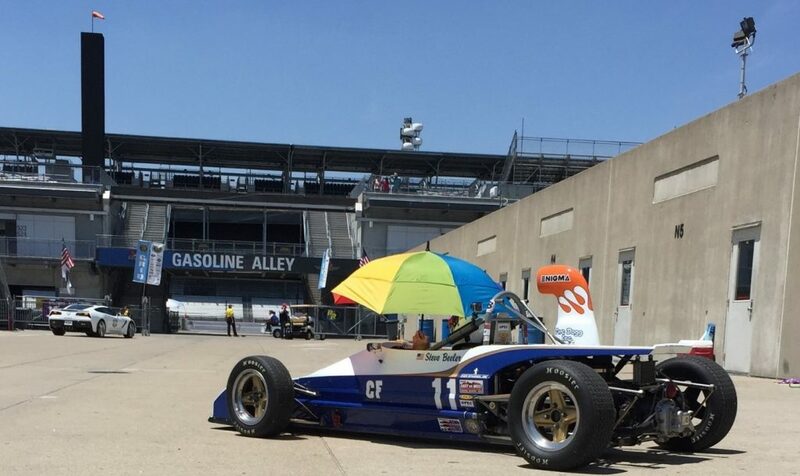 Life comes full circle: 57 years after my dad and granddad took me out to the track on a Sunday afternoon, I raced the Lola at the Indianapolis Motor Speedway. I run my little club racing operation from three clipboards. The first clipboard contains a comprehensive check list for the race car. I use it both in the shop and at the race track. Working at home in the evenings, it can take a week or more to prepare the car. At the track, multiple people are involved in the checks between sessions. In both cases, the checklist provides a visual status of the readiness of the car. Until all the boxes are initialed, the car is not ready for the track! TIP: Use your shop preparation check list to schedule preventive maintenance at the race track. The second clipboard has the operating log. In the shop, all the initial set up specs are recorded: camber, caster, toe-in, damper settings, corner weights, gear ratios, carb jets, etc. At the track, set up changes are recorded as well as lap times, weather conditions, and other data and observations of interest. TIP: Get in the habit of writing notes after every session on track. You learned something valuable…write it down so you don’t forget it! The third clipboard has the packing lists for the RV and the trailer. It is one thing not to have enough budget for something that you need at the race track, it is entirely another for it to have been left at home. 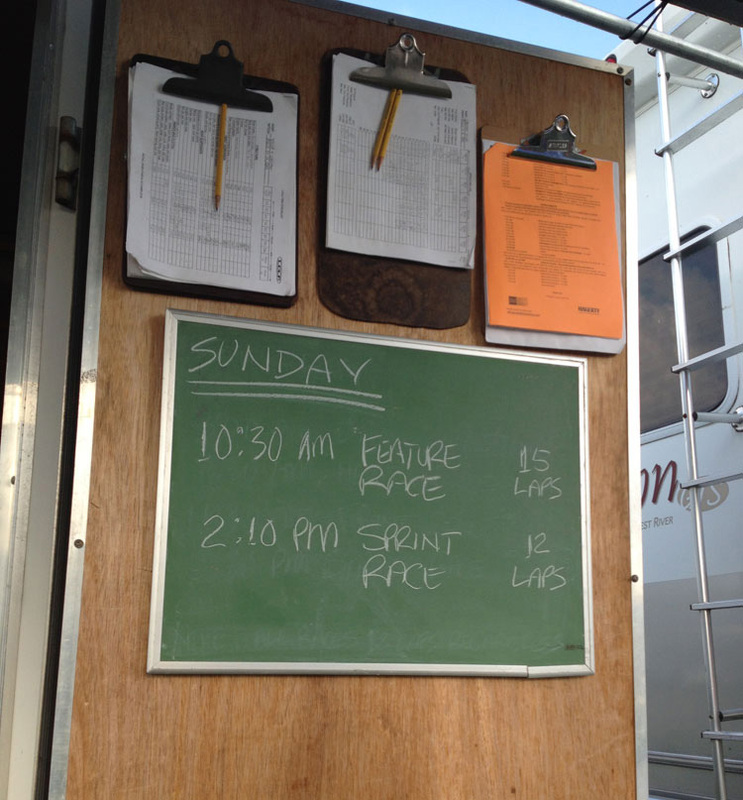 This last clipboard includes a few other odds and ends: schedule, supplemental regulations, entry list, etc. TIP: Every race weekend is a little different. An “added starter” section gives your checklist the flexibility to deal with this weekend’s extras. A professional racing team had just three months to prepare two cars for the Daytona 24 hour endurance race. As it was the car manufacturer’s first year in the series, there would be no factory parts trailer at the race. Therefore, the team would have to carry all of its spare parts in its two trailers. I was contracted to make this happen. 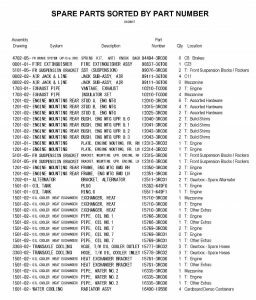 From the documentation provided by the manufacturer, I identified 1000+ part numbers to carry in inventory. Next, I defined pick lists for key sub-assemblies like suspension links, control arms, uprights, nose structures, etc. I set up kits for small consumables like nuts, bolts, and shims. 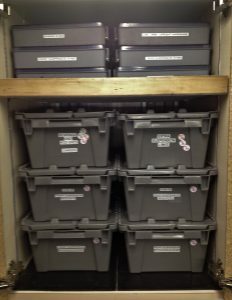 In Excel, I documented storage locations (trailer cabinets and drawers, totes, kits, etc) in a data base searchable by part number, description, and vehicle system. To finish the task of getting all of this to the track, I set up a detailed trailer packing list. After the thrash to get ready for Daytona, I continued to work on the team’s spare parts inventory. Additional parts were identified as needed. 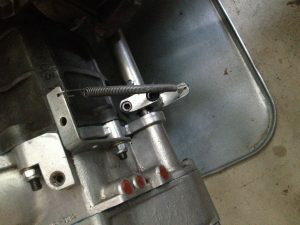 I reversed engineered special bolts to be cut to length from standards. I set up more kits and “optimized” storage containers and locations for faster access at the track and more space efficient storage. I exploded the pick lists and coded an “MRP” system in Excel to calculate net part requirements from sub-assembly quantity targets. TIP: When planning a physical inventory or cycle count, put thought into how items will be identified as counted so that none are missed and none are counted twice. Here’s a little trick of mine that I share freely…a small example of giving back to the sport. Hewland Mk9 transaxles, ubiquitous in Formula Ford, have a notoriously vague “H” shift pattern. The shift knob kind of flops around and it sometimes difficult to know whether you are in the 1-2 plane or the 3-4 plane. Slow or, worse, missed shifts can and do happen. One day when doing a gear change, I noticed that when perfectly in the 1-2 plane the shift finger was resting against the reverse detent. Idea! Slightly spring load the shift linkage towards the 1-2 plane and the shift knob will always be where you expect it to be. This does not cause a problem on shifts across the planes because there is a very positive 3-4 stop against the transaxle cover. People ask me about this spring all the time at the race track and I always enjoy explaining what it is for. A bigger example of giving back is event organization. 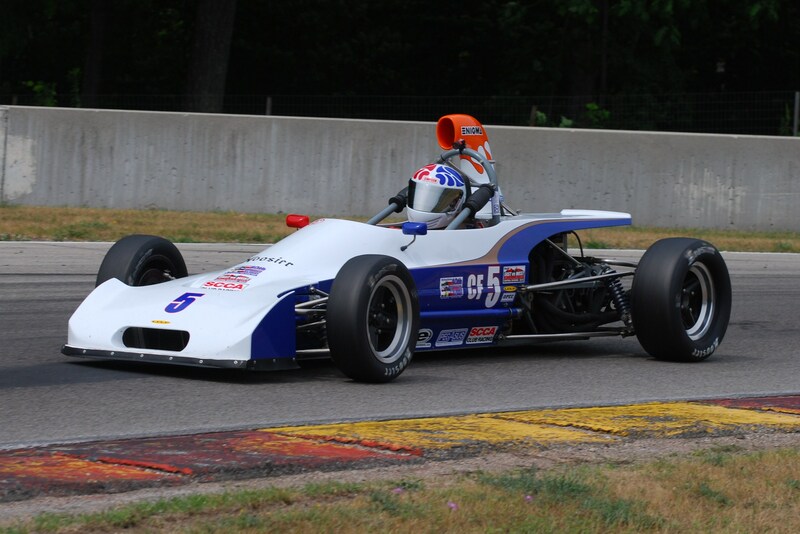 It started with the East vs West Challenge, a series I formed to increase Formula Ford car counts in the Great Lakes states. Chicago is very difficult to tow a race trailer through or around. The EWC provided incentives for people on the east side of Lake Michigan to race on the west side, and vice versa. The EWC eventually grew into the huge 40th anniversary celebration of Formula Ford’s first race in the United States. 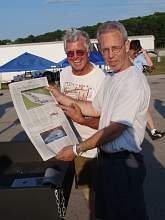 Held in late July 2009 at Road America, the FF40th attracted 243 entries, mostly from across the U.S. and Canada but also with some visitors from outside North America. The group photo taken at the start finish line on Saturday evening is timeless.